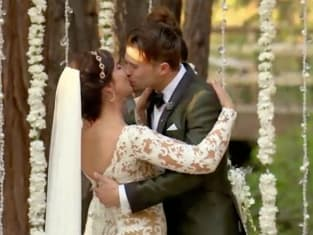 How did Scheana and Mike's marriage come to an end? That was the focal point of Vanderpump Rules Season 5 Episode 21 when Scheana realized Mike could be back on drugs after his erratic behavior. Lisa realized it was time to step in so that Scheana did not get hurt, but Scheana was adamant she wanted a confession from her ex. Meanwhile, Tom and Katie's wedding night was filled with drama when Jax questioned his relationship with Brittany. Use the video above to watch Vanderpump Rules online to get caught up on the latest drama for the stars.